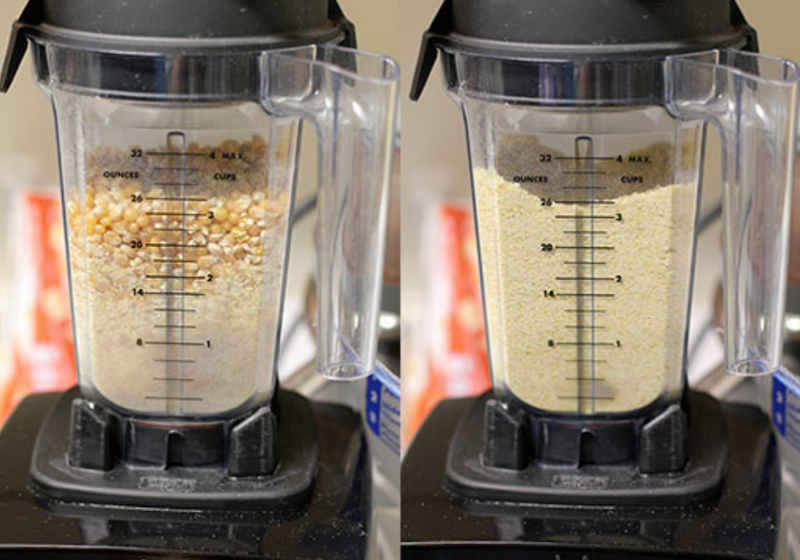 Place 2 cups of organic popcorn kernels in the DRY INGREDIENT container for the Vitamix (or a Blendtec) Blender and put the lid on. 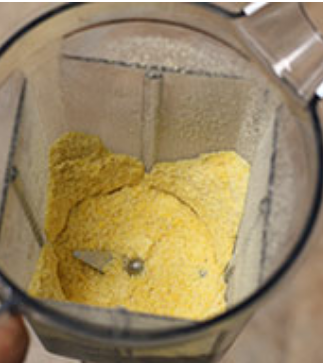 Start the blender on 1 and slowly increase to 10 and then turn the HIGH switch up. Blend for 1 minute to 1.5 minutes, stir then pour into an airtight container. Do the same with the second two cups and then combine. Store in the freezer in an airtight container or freezer bag. 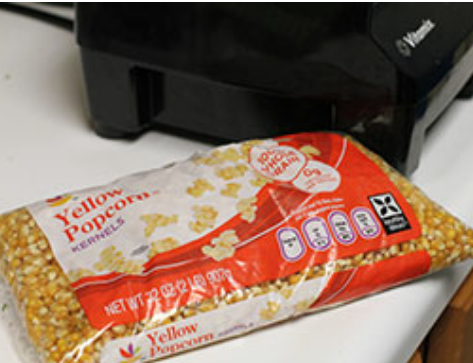 Allow to sit out on counter for 30 minutes to reach room temperature prior to using. Blend together with a wire whisk and store in an airtight container or freezer bag in the freezer until ready to use. Allow to sit out on counter for 30 minutes to reach room temperature prior to using. This entry was posted in Infertility, Recipes, Single Mother By Choice and tagged Black Choice Mom, Cooking for Pregnancy and Infertility, Recipes, Single Mother By Choice. Bookmark the permalink. Happy New Year 2019 !